One of the most wonderful gifts that comes to us through the ancient monastic tradition are the orders for daily prayer which have been and continue to be prayed daily in many communities. Last summer I spent almost a week at St. Meinrad's Archabby and it was wonderful to prayer the daily office (as it is called) with the monks. The services are: Lauds at 3:00 AM (times are approximate and vary from location to location); Morning Prayer at 6:00; Noon Prayer at 12:00 noon; Evening Prayer at 6:00 and Compline at 9:00 PM. Now the ancient tradition also included other brief services at 9 AM and 3:00 PM. Our hymnal - Evangelical Lutheran Worship and also the Lutheran Book of Worship before it, contained beautiful settings of the office services of Morning Prayer, Evening Prayer and Compline. Evening Prayer and Compline are especially popular in Lutheran circles. Episcopalians use Morning Prayer with a bit more regularity. Every night at Lutheran Summer Music at 9 we sand Evening Prayer, and it was glorious. My daughter came to love EP so much that she insisted we sing it in the car driving home from LSM after her 1st summer there. At Peace we do Morning Prayer every Wednesday morning at 9:00 AM. So, why do more folks not participate in the services of the Daily Office? Well, our schedules are all so crazy that it is very difficult to do so. Who wants to get up for Lauds at 3:00 AM (not me - even though I did it at St. Meinrad); and mornings are so hectic with going to work, and evening is filled with activities and then when we finally get home we are tired. 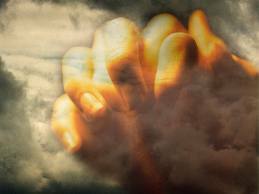 Thanks for sharing your daily prayer stories and for plugging the LCH Daily Prayer website.